I’m really enjoying the song “Shoo Lie Loo” by Elizabeth Mitchell. It came to me as a gift just this week in the form of her cd Sunny Day. I recommend it as part of your collection of music for children – joyful songs, great rhythms, real music that appeals to a child’s world. The whole cd feels like adults and children alike had fun making it. “Shoo Lie Loo” has everything my children love: a catchy tune that won’t drive you nuts, simple lyrics that can be adapted, a celebration of childhood. I promise you’ll love it. There’s a clip of it at the end of this post, showing the circle game that goes with it. My children and I adapted this song yesterday when we went down to the river – it just burst out when we started taking note of all the bird life we have down there. We live on a quiet part of the Nerang river – just about the point where the water turns brackish and is just a little tidal still. It is more like a creek where we are, with mostly low ankle-deep water running over smooth rocks and soft weeds. It is an interesting environment with SO MANY interesting birds. It is a very exciting event when we spot the pelican that comes to visit every now and then! It is quite odd, seeing a pelican paddling upon our quiet creek. Once my husband watched an eagle fishing, and I’ve been delighted by the flash of brilliant blue from a kingfisher. 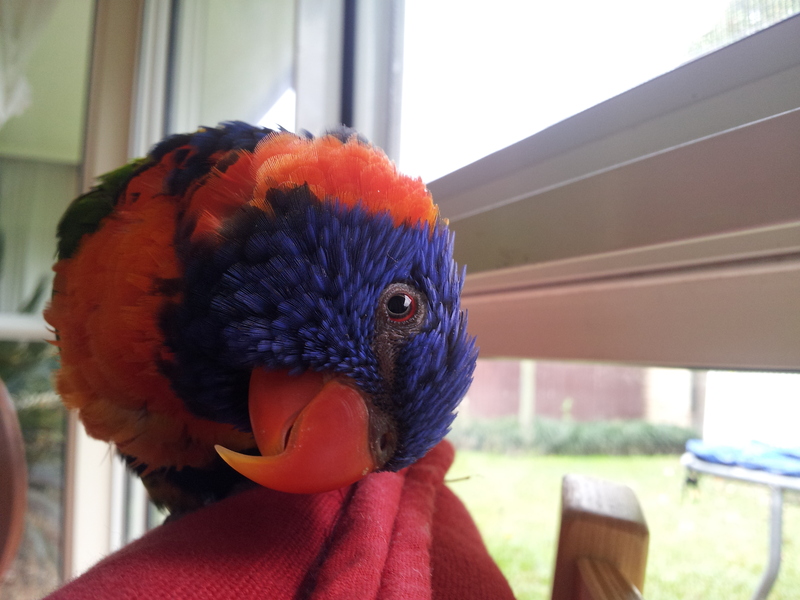 This cheeky little one landed in our backyard and lived with us for about a month before flying away again. Our song went on and on with willy wagtail, swamp hen, eagle, magpie, butcher bird, galah, ibis, pelican …. the little ones and I danced in a circle, spinning around with our arms out as we flew away over yonder. So much fun.